Get ready for your day at this vanity from the Ilana Collection and have everything you need at your fingertips. The piece features beautiful wood detailing, two mirror-front doors, antique brass hardware, pine construction, and three lined drawers. 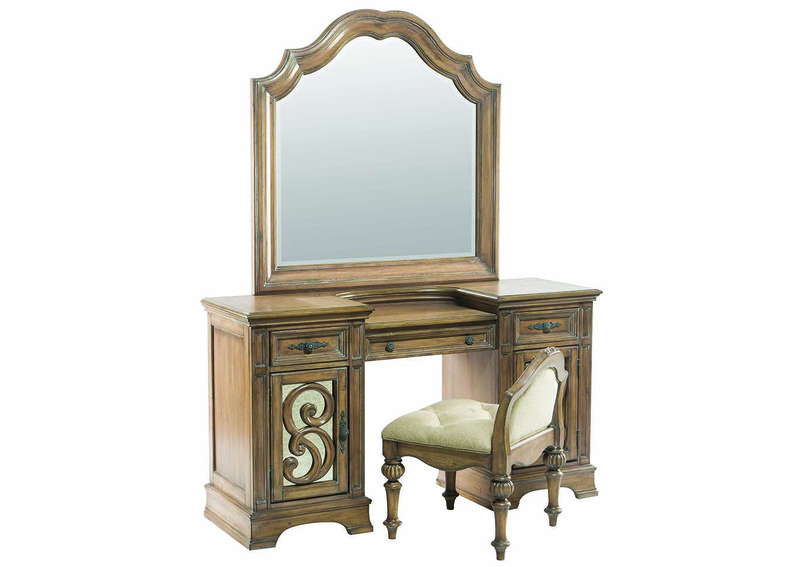 Pair this desk with the coordinating stool and mirror for an elegant set.